Ways to Stay Cool: Ducted Vs. Split System Air Conditioners. Buyers Guide. Ducted Air Conditioners: Unsurprisingly, ducted air conditioners work through a system of ducts that run through your home to and from an internal fancoil unit installed in your roof space. You can have ducts running to each separate room in your house, allowing you to cool the whole house or allowing you to select certain areas. Split System Air Conditioners: As the name suggests, split system air conditioners are split into two main units, inside and outside. The inside component is an evaporative heat exchanger that blows air into the room. 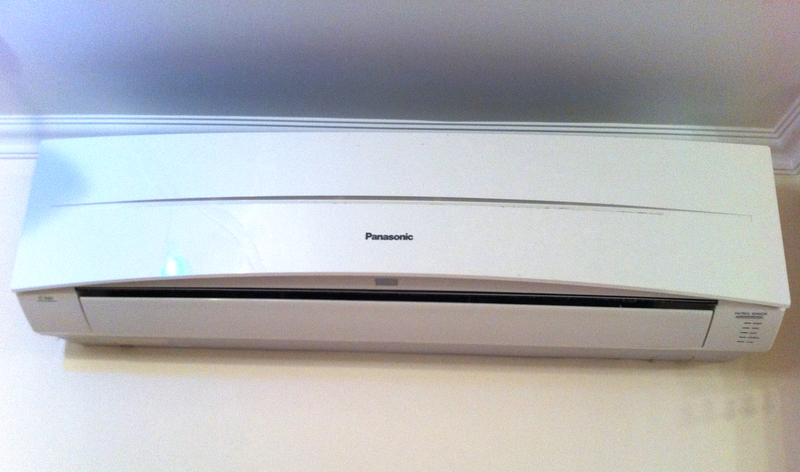 The outside component is a condensing heat exchanger, which expels the unwanted hot air. Zoning: This means you can block off vents in rooms that are you don't use to help save on energy costs. Large Spaces: A ducted system is ideal for a large house or big areas which would otherwise require multiple split systems. Powerful: Ducted systems are more powerful, flexible and efficient than other systems. Expensive: Installation costs are higher than any other cooling system around. Difficult to Install: Generally speaking, ducted systems are easier to install during construction. So, if you’re building a new house, then this could be the perfect option. They’re easier to install than a ducted system. If you have a relatively small, established home with plenty of space on your exterior walls, then a split system is a great option. They’re more affordable than a ducted system. Easier installation translates to a decreased cost. There are also a lot more affordable options on the market for split systems. You can get systems with multiple heads. This means you can cool two different rooms from the same exterior unit. They can cool quite large areas. One good split system unit will be able to keep most large living areas cool. They can be more expensive to run. This is particularly true if you choose the multi-head option. You can only cool one area. Unfortunately, you’d need multiple split systems if you wanted to keep every room in your house cool, which would be quite expensive. They are less effective at cooling large areas. If you have a big house, a split system is probably not the option for you. When it comes to air conditioning solutions it’s essential to find the most efficient option for your unique living situation. Regardless of what you choose, make sure you hire a quality air conditioner installer. Consider the size of your home, the number of people who live there, how easy it will be to install a new system, and your budget. For a small home, a split system could be perfectly adequate. But for a large home, the savings you get buying a more affordable system will be negated by the much higher energy costs long term. By purchasing the right cooling system for your home, you will reduce your headaches while you reduce the heat.